In my first pregnancy I was a single mother and just 16 years old when I found out, so yes it was pretty scary but I knew I had my family there for me. When I was around 12 weeks pregnant I fainted on my first day of work! Luckily I only had a scan a few days after so the hospital told me to wait until then, everything was fine! I fainted again a few weeks later, it turns out I had low iron and somehow the midwife 'forgot' to read the results and give me the iron tablets until I was over 30 weeks pregnant so no wonder I was light headed all the way through my pregnancy. I remember one morning in the first 3 months of my pregnancy, before i had to go to college I felt really ill. I was sitting against the radiator on the bathroom floor and I couldn't move. I felt so nausea. Luckily I recovered in enough time before I had to go from the house to get the college bus. Another thing I used to get between 4am - 6am was cramps on top of my leg. I remember having them for the whole week once and I'd always wake up and sometimes in tears because it was hurting so much! I just took it that Mia was lying awkwardly. My pregnancy was great other than those little things. However, when I turned 30 weeks pregnant I woke up in the middle of the night itching the palm of my hands and under my feet, then it started to itch all over! My face was red and full of scratch marks! I remember waking my Dad up to tell him I couldn't sleep and couldn't stop itching, I was shattered. But I did wake up at a decent time in the morning so I was up for quite a few hours by myself. We got out the pregnancy book and luckily there was a paragraph about the symptoms I was having. It was called Obstetric Cholestasis. We went to the midwifes in the doctors and they sent me straight to the hospital to get checked over then from then onwards I was in hospital twice a week getting monitored. I was on loads of tablets a day and thankfully the itching did stop towards the end. I was also seeing a consultant every fortnight, my last consultant appointment I got my blood pressure done and she turned round and said I had pre-eclampsia so went to see if there was room for me to get induced there and then. There wasn't, so she told me to phone the next morning too see what time I could go into labour ward to get induced. Cravings: Twirl Chocolate, Milky Way. Food's i'd gone off: Pasta, Beans, Cheese. I kind of had a feeling I was pregnant before I took the test because I was feeling quite unwell but it didn't feel like a bug. Then of course, I was pregnant! For the first 13-14 weeks in the evenings I used to hate going to bed because that was the time I used to have to sit up, feel so sick and in pain with stomach pains because I felt so sick. At around 8 weeks we had to go to hospital because I started bleeding, luckily we were sent for a scan at 9 weeks to see if everything was okay, thankfully everything was fine. I was light headed again in the pregnancy and I was given iron tablets. I felt every pain in the pregnancy, it actually wasn't as smooth as my first (not at all!). It also didn't help that I was having to carry children in my job, and also I had Mia too look after too. I couldn't stand going on buses, especially having to go on a bus to work I used to hate it! 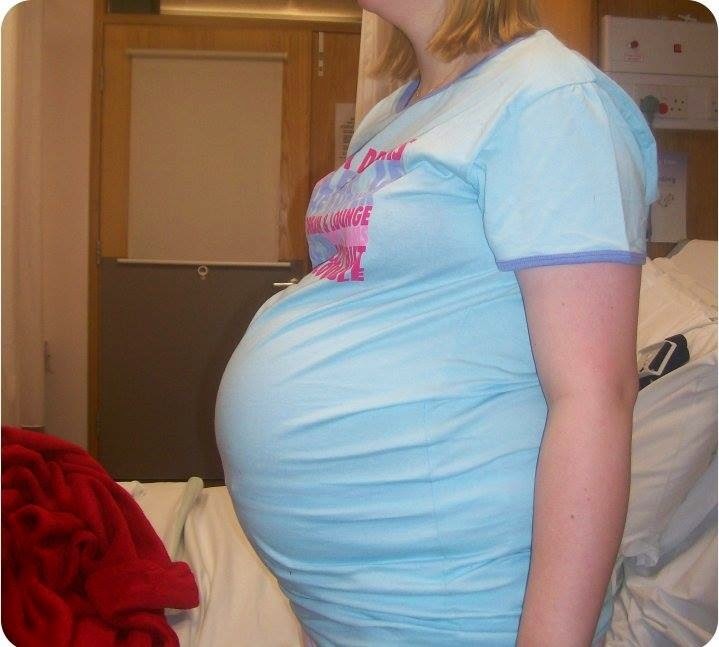 Around 25 weeks pregnant I got Obstetric Cholestasis again. This time I only had to be in hospital once a week, but on the same tablets. The itch calmed down a little but not a lot. I lost so much sleep, looking back I'm sure I lost maybe a good full week or two of sleep all together. I tried sleeping on the sofa and on the floor and I couldn't! The bed sheets would go through me and I could not sleep on them at all. From around 30 weeks pregnant I fell into depression, something I don't admit too and I wish I would have spoken to someone about it there and then as it got a lot worse months on. Cravings: Chocolate Eclairs and Garden Peas. Many people get painful veins during pregnancy. You can get them before but worsen during pregnancy. You can get them treated but they advise 3 months after delivery. specialistveincare provide all the information you need if you are wanting advice.